A total of eight drivers representing five teams took part in the two-day test at the 2.034-mile Palm Beach International Raceway in Jupiter, Fla., and all were ecstatic about the pace, consistency and reliability of the new cars, several of which were on display at the recent PRI Show. The Dallara IL-15 will make its race debut on the streets of St. Petersburg March 28 and 29, but it has already shattered over 25 track records so far, and it is only January. Along with a state-of-the-art carbon composite chassis, the IL-16 has a 450-hp Mazda turbocharged engine that gives it a 210-mph top speed. When the first day of the testing ended, the top four drivers and teams were separated by a hair over two tenths of a second. 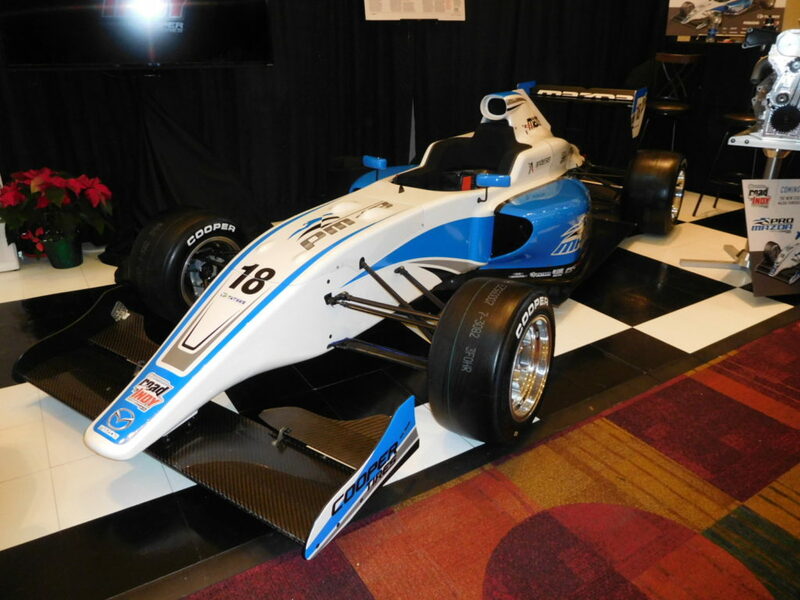 The top two drivers from last year’s Pro Mazda Championship were the initial pacesetters, with second-place finisher Scott Hargrove, from Vancouver, B.C., Canada, driving for Enzo Potolicchio’s impressive 8Star Motorsports team. He edged out series champion Spencer Pigot (Juncos Racing) by a scant 0.0643 sed. Hargrove’s best time the opening day after completing 46 trouble-free laps was 1:06.8606 sec. Felix Serralles, from Ponce, Puerto Rico, made his return to U.S. racing after competing in the FIA European Formula 3 Championship the past few years. 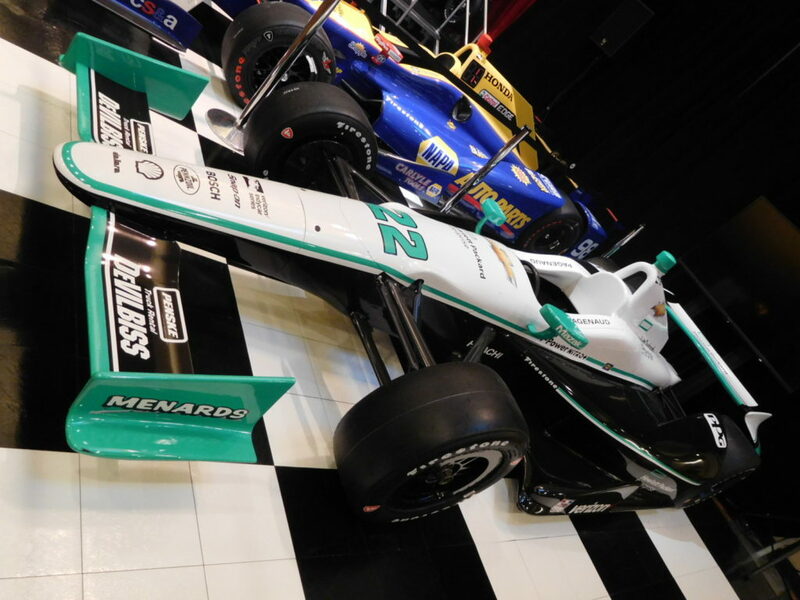 He was also a possibility for the 2014 Indy Lights championship team, Belardi Auto Racing, at 1:06.9886 sec. Behind him was RC Enerson, from New Port Richey, Fla., who joined Schmidt Peterson Motorsports after finishing second in last year’s Cooper Tires USF2000 Championship. The teams had much to do sorting out the attractive new Dallara IL-15 chassis, the turbocharged 2.0-liter Mazda MZR-R engine and the latest specification Cooper tires. Only 8Star Motorsports and Schmidt Peterson Motorsports had any prior experience with the car — thanks to an entrant test day at Palm Beach last month — so the learning curve was steep. The new car tips the scales at just 1,400 lbs. It is 192 in. long and 76 in. wide. 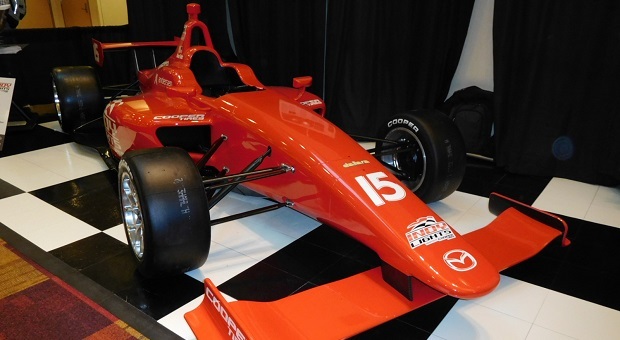 The carbon composite chassis meets Indycar and FIA standards.The 2.0-liter Mazda turbo engine was developed in conjunction with Advanced Engine Research (AER) and includes a 50-hp Push-to-Pass feature, drive-by-wire throttle control and advanced engine management electronics. 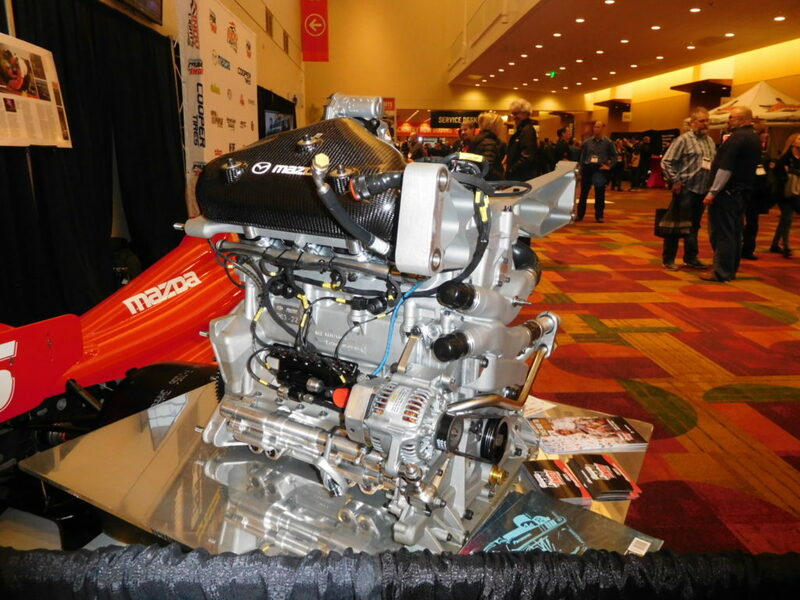 The cars exhibited at the PRI Show got a lot of attention from serious racers.